My kids must have watched over 100 YouTube videos reviewing the Disney Cruise. I would walk into our office and find my 8 year old watching the kids go on the slides, eating treats and searching for the perfect room. They started begging us to go last year but I was very hesitant. You see I have been on a few day cruises to gamble and catamarans hanging out with the girls but never slept on a ship. I didn’t know if I could survive with my nerves. In January, I started searching for the best itinerary that fit our Spring Break schedule. 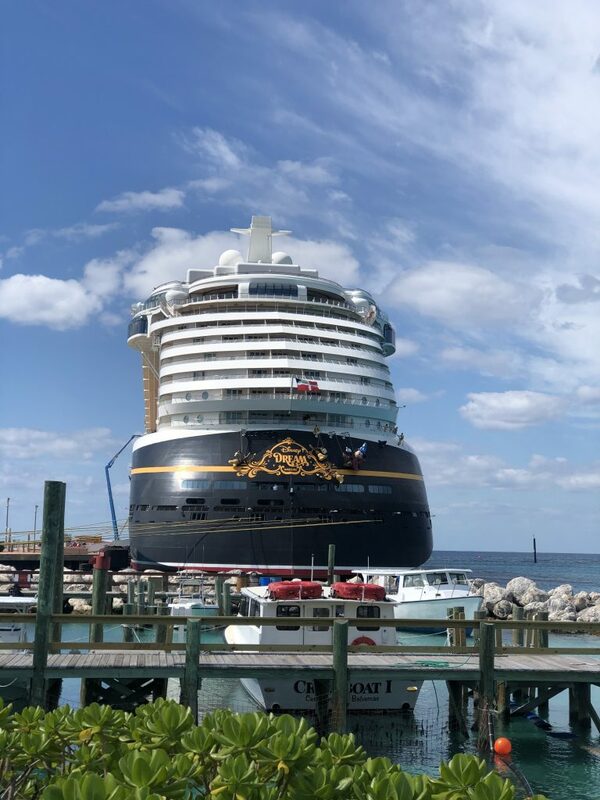 I decided on the 3 night Bahamian cruise on the Disney Dream leaving out of Port Canaveral because it left right when the kids got out of school and we could enjoy a few days in Orlando when we returned. When I told the kids they were beyond excited and started counting down right away. I had anxiety for weeks leading up to the cruise. Crazy dreams that one of the kids went missing lol. Or dreams about missing the ship at the port of entry and being stuck on an island. Yes, I was a bit paranoid. 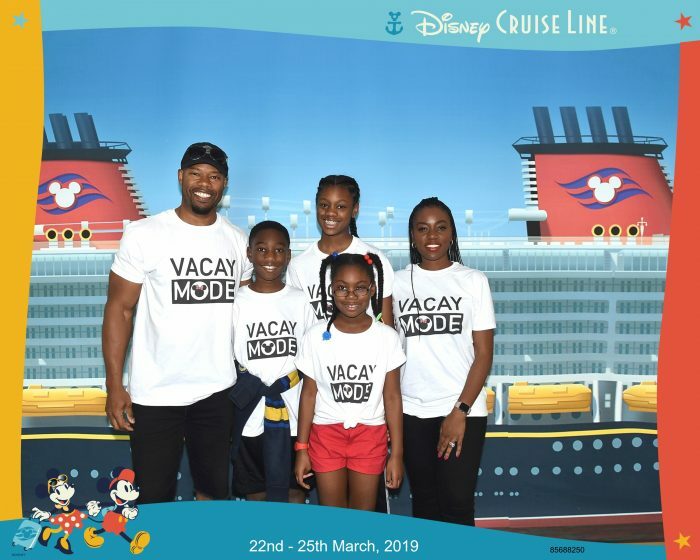 But after talking to a few friends they reassured me that the Disney Cruise was the best cruise to book and I would have a great time. I am so glad that I calmed down enough to really enjoy this trip. We really had a blast. 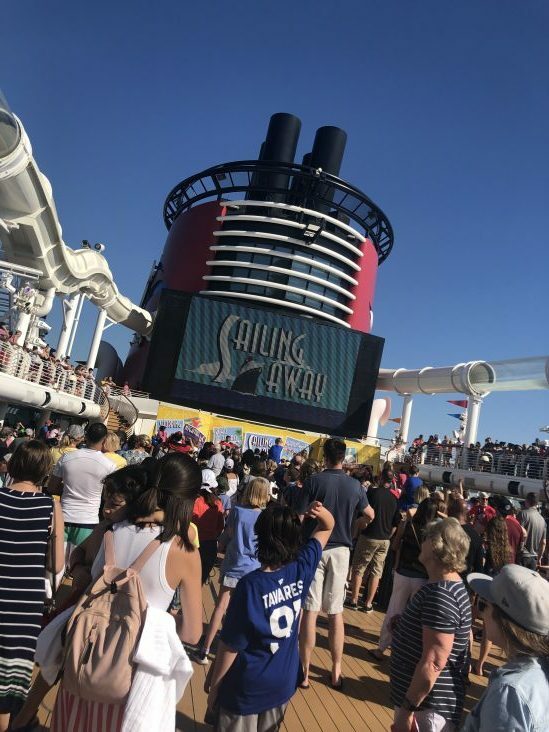 I have had so many people ask me for tips and what not since posting pictures on Facebook and Instagram so I wanted to do a quick review of our amazing Disney Cruise. This is part one because there’s so much to share. We packed up the truck on Thursday afternoon and jumped on the Turnpike around 4 p.m. heading to Orlando. 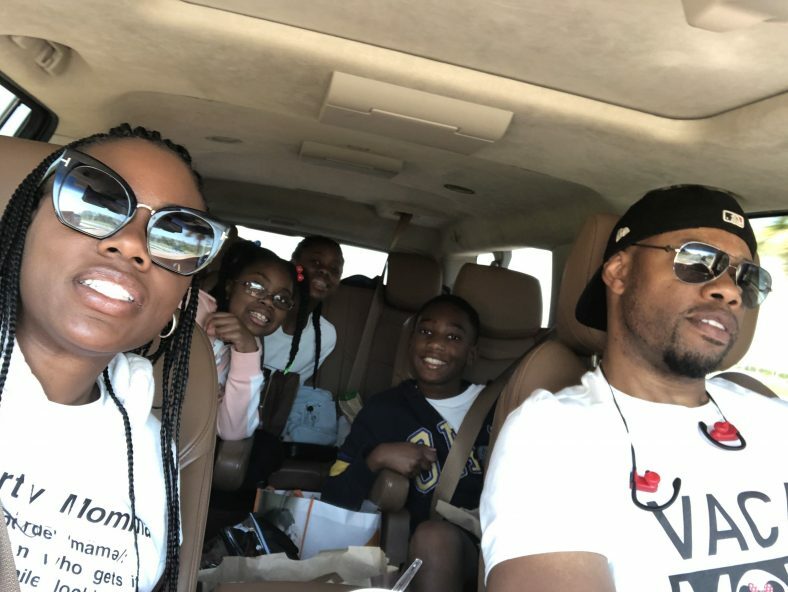 My hubby and I decided that it was easier to already be in the area then jump up at 6 a.m. rushing to the Port and something crazy come up like the SUV breaking down or unbearable traffic. The truck had been giving us some problems and even though we picked it up from service the day before we didn’t want to take any chances. We arrived to Orlando with way too many bags. Anyone else over pack like me? After checking into the Hilton Lake Buena Vista Palace we headed over to have dinner at Paddlefish in Disney Springs. It was delicious! On Friday morning we checked out of the hotel, grabbed breakfast from Panera and headed to the Port around 11 a.m. I was already freaking out and driving my husband crazy. We left a little later than I planned and I was starting to worry. Well we got to the port around 1 p.m. which was an hour before our boarding time. First tip: Drop your bags off at the drop off before parking the car lol. We didn’t do it and had to roll the bags quite a distance. After clearing security and check in we had our picture taken in our matching shirts and our cruise adventure began. Tip 2: Get cute themed shirts from Etsy or Amazon. Everyone was so nice and helpful as soon as we walked on the ship. It was like being at Magic Kingdom but on water. 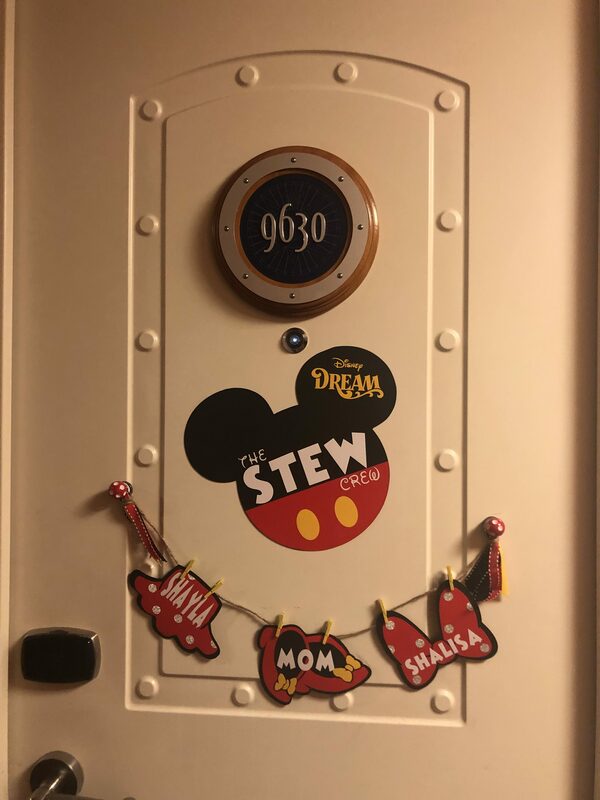 We immediately went to our rooms to decorate our doors. Tip 3: Order a fun door magnet to help identify your room from the others cause they all look alike. I ordered ours from Etsy. I was super impressed with the rooms. I originally booked the Veranda ocean view that slept 5, but my husband decided to add another connecting room because we are used to the extra space. (I/m so glad that he did) The kids had their room and we had ours. I must say the beds and showers were amazing considering we were on a ship. I need to find out what kind of mattress they had. Each night had a theme so you want to pay attention to the itinerary. There was a Sail Away party, Pirate night and Fancy attire on our ship. Most people dressed up each night but you don’t have to. I got tons of compliments on our t-shirts and pirate costumes. After the sail away party my kids rushed to put on their swimsuits to hit the slides. We enjoyed dinner at Animation Palate where we had an interactive meal with Crush from Turtle Talk. It was super yummy and fun. The kids went to the Oceanaire Kids Club after dinner while the adults explored the ship. The ship was so big by the way that we did not make it to the front of the ship. There are over 1250 room on the Disney Dream! Crazy right? Stay tuned for Part 2 later on this week. 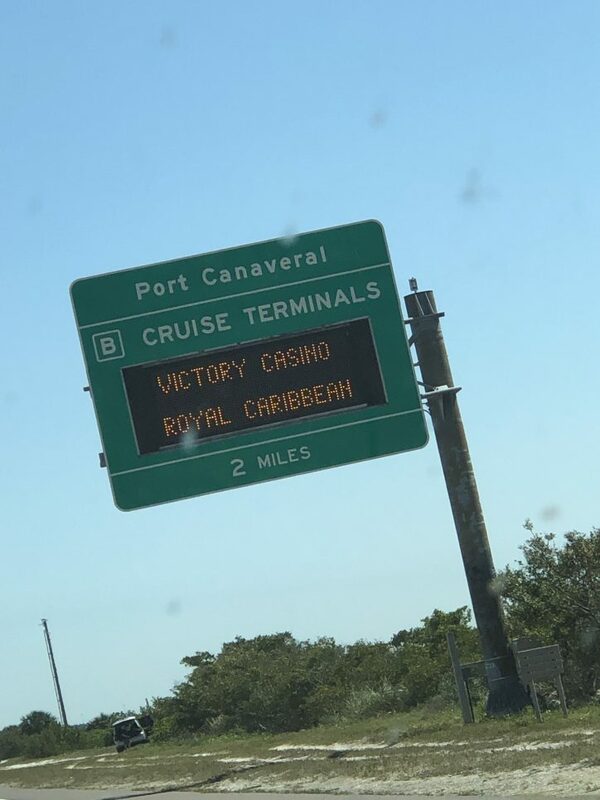 Here’s what my eight year old said about the cruise. 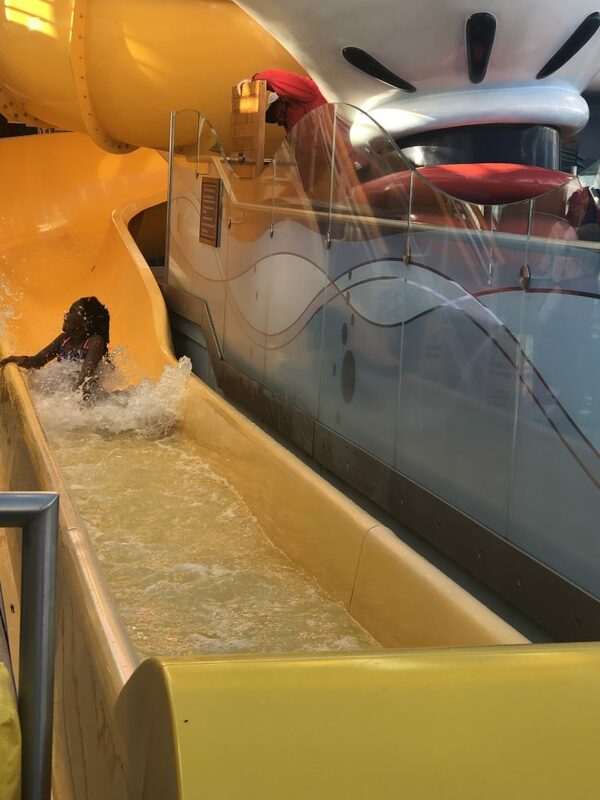 “My favorite thing on the Disney Cruise was the Kid’s Club, Goofy’s Sports Simulator and the Aqua Duck!” She must have gone on this slide 20 times.